Causey View Self-cateringCausey View is a delightful, cosy hideaway for 2 people located close to the centre of Keswick. The 150-year-old mid-terrace cottage has been fully refurbished and is meticulously kept. Being a town centre property there is limited on-street parking outside the property and a parking permit is also supplied, at no extra cost, for the public car park, which is a short walk away. As well as being a superb base for exploring the Lake District and walking the nearby fells, Causey View is ideally located to take advantage of the many pubs, restaurants and shops, which are a minutes' walk from the front door of this great little holiday retreat. Downstairs, comfy lounge with light oak flooring, slate-surround open fire and leather sofa leading to small but newly fitted kitchen including washer dryer, halogen hob, fan oven, slimeline dishwasher and microwave and an outside shared garden and patio area. Colour digital TV, DVD player and CD Hi-Fi are provided, along with Wi-Fi internet access. Upstairs, bedroom with luxury king-sized bed and bathroom, with shower over bath. Bed linen and towels are included. Please note that changeover day is Friday. 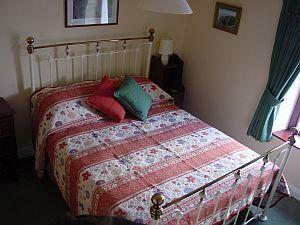 Causey View is a delightful, cosy hideaway for 2 people located close to the centre of Keswick. The 150-year-old mid terrace cottage has been fully refurbished and is meticulously kept. Storage heaters. Leisure facilities, swimming pool, sauna, gym etc., available at Keswick leisure pool, approximately 5 minutes'' walk away. Travel cot available on request. Causey View offers weekly bookings starting on Friday and short breaks of 3 days starting on Friday and of 4 days starting on Monday. From M6 jct 40 follow A66 to Keswick. Follow signs to the town centre. Turn left just before traffic lights for pedestrian crossing, Station Street and follow road round to left, St John's Street. Take second right and follow road round to the right, The Seams, house is on the right. Public transport, train to Penrith, bus to Keswick bus station. The house is 5 minute's walk from the bus station. Access statement available on request with full details.